Are you or a loved one covered under Community HealthChoices and currently receiving care through a managed care organization? You may be finding that you’re not happy with the services and attention you’re receiving under your new plan. If that’s the case, you do have options. If you meet the eligibility guidelines, you can enroll in Senior LIFE as an alternative option under Community HealthChoices at any time. You may not fully understand Senior LIFE, and the LIFE Program, though. That’s why we’d like to share some benefits of the program you might be unfamiliar with. 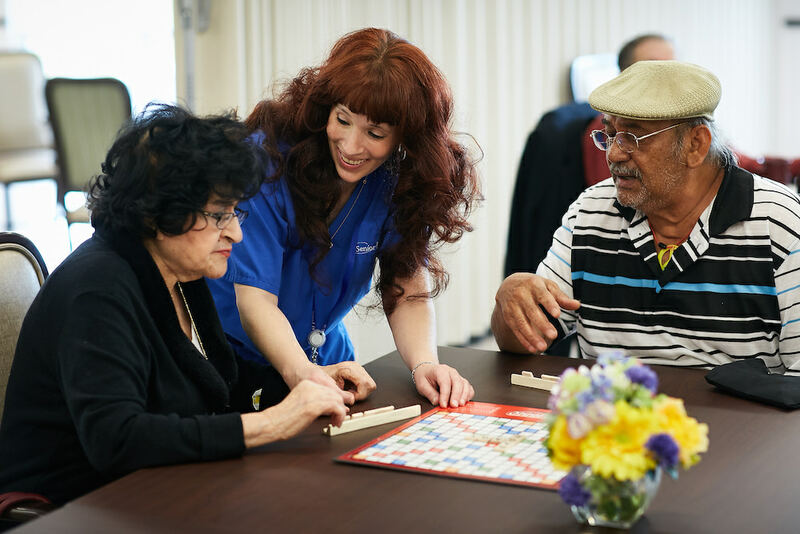 At Senior LIFE, every aspect of our work is centered around our members. The LIFE Program is designed with individual members in mind and offers the highest-quality senior health services. Let’s take a look at four unique benefits of the LIFE Program. You might have heard some of the benefits to enrollment in the Senior LIFE Program, but do you know all of them? Believe it or not, if you or your loved one qualify for the LIFE Program, the enrollment process is easy! It begins with a free consultation to discuss eligibility. And if you think you or your loved one aren’t eligible for the program, you might be surprised. Our team is here to help guide you through the eligibility process. Come visit the Senior LIFE Health and Wellness Center for a free lunch and tour! Complimentary transportation is provided. If you’re unhappy with your managed care plan and looking for more individualized care, contact the experts at Senior LIFE to discuss how to enroll. It can sometimes feel like healthcare providers offer a cookie-cutter approach to care. We take a different approach, specifically designed for seniors 55 years and older. Upon enrollment, members and the Senior LIFE Care Team develop a healthcare plan that’s individualized to meet their unique needs. This plan isn’t a one-time-and-done plan, either. As a member’s needs change, so does the plan. This includes changes in both a member’s health and his or her family and living situations. Members of Senior LIFE receive all medical and support services through Senior LIFE. That means we’re a one-stop shop for all senior health services, and we take care of scheduling all necessary appointments. No more driving to and from different doctors’ offices and trying to keep track of where you need to take your loved one for an appointment. There’s also no need to travel to the local pharmacy, either. Medication management is taken care of through the Senior LIFE Program, and all medications are delivered directly to the member’s home in packaging that’s easy to open and understand. Services are received at the local Senior LIFE Health and Wellness Center, and members may also receive in-home services as part of their individualized care plans. Senior LIFE members also have access to a wide range of other services that extend beyond doctor’s appointments. The Senior LIFE Health and Wellness Center offers primary care, therapy services, social activities and events, meals, nutritional counseling services, and exercise, among other offerings. It’s not just a doctor’s office—it’s a bustling place filled with your friends and other members of the community. And we’ll even handle the transportation needed to get you or your loved one to and from the Center and to and from all of your primary care and specialist appointments! For those who are financially eligible and living in the community, there are NO out-of-pocket costs for services. There are also no co-pays for medications, physician specialist visits, hospitalizations, or medical devices and equipment. Our physicians, providers, and nurses are on call to respond to our members’ needs 24 hours a day, 365 days a year. All Medicare and Medicaid services are provided and seamlessly coordinated. In fact, 99 percent of Senior LIFE members living at home receive all services at NO COST. Starting the enrollment process is easy. Just pick up the phone and reach out to one of our experts. If you’re interested in enrolling yourself or a loved one in Senior LIFE as an alternative under Community HealthChoices where you’d control your care, you’re welcome to visit the Senior LIFE location nearest you. During this visit, you can tour the health and wellness center and meet with medical providers to learn more about how you’d receive care through Senior LIFE. And we’ll even treat you to lunch! More and more seniors are choosing to remain in the home as they age. If this describes you or a loved one, contact us for a free eligibility check to get started!